1.rapeseed oil extraction equipment /rapeseed oil making machine is mainly composed of feed hopper,pressing cage,screw shaft,grar box,frame and other parts. 2.Energy of rapeseed oil extraction equipment /rapeseed oil making machine is converted into heat energy, make the oil squeeze out gradually; oil cake is out from the rack. 4.rapeseed oil extraction equipment /rapeseed oil making machine with double bucket, and has the function of double filtering to extract the oil is clear, spiral. 3. 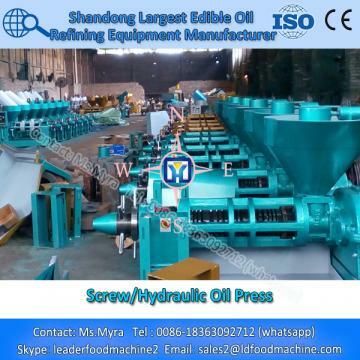 You can call us or send email to us for any questions about rapeseed oil extraction equipment /rapeseed oil making machine,Shandong Leader Machinery Co.,Ltd. will reply you within 10 mins. 4. During the warranty of rapeseed oil extraction equipment /rapeseed oil making machine, if there is any problem about the components,Shandong Leader Machinery Co.,Ltd. will send you the components within 24 hours by International courier. Main Specification: 50~5000T/DIt applies to rapeseed, soybean, cotton seed, camellia seed, sunflower seed, rice bran, corn germ, etc.Main Equipment: rotary multi cell extractor with stainless steel gate or drag chain extractor, D.T.D.C desolventizer-toaster, total negative pressure evaporator, paraffin recovery equipment, etc.Details: The rapeseed pre-pressing & extraction production line uses advanced process design, with easy installation of equipment, safe characteristic and automation, small energy consumption, good effect of extraction, low residual oil in meal, and good quality of meal and oil. Click for More Information !!! Company strength :More than 35 years manufacturing experience.More than 30% of the 200 personnel are professionals.ISO 9001, CE CertificationTurnkey products and overseas serviceBusiness scope:Oil seeds press production line: 10-1000 t/d.Vegetable cooking oil extraction production line: 10-1500 t/d.Edible oil refinery production line: 1-800 t/dOil seeds our machine can process:Sunflower seeds, cotton seeds, soybean, rapeseed, castor, peanut, palm, corn, rice bran, canola, coconut etc. 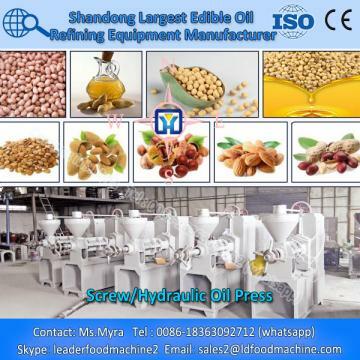 (Tel/whatsapp:0086-18363092712, Email:sales2@ldfoodmachine.com,Skype:leaderfoodmachine2).Welcome to send us your enquiry about capacity for rapeseed oil extraction equipment /rapeseed oil making machine, inform us raw material you want to use for rapeseed oil extraction equipment /rapeseed oil making machine,and specific requirements for rapeseed oil extraction equipment /rapeseed oil making machine.Shandong Leader Machinery Co.,Ltd. will provide you best solution for your project about Screw/Hydraulic Oil Press.